USDA-APHIS has just released the Draft Environmental Impact Statement (EIS) for 2,4-D resistant corn and soybean. The 2,4-D resistant crops were developed by Dow AgroSciences using genetic engineering. 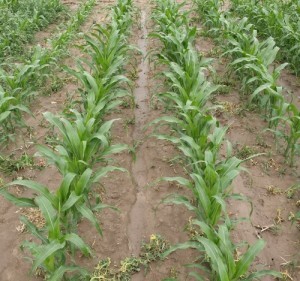 The corn and soybeans will be marketed to growers as the “Enlist” weed control system. Crops with the Enlist trait will not only be 2,4-D resistant, but will also have stacked traits that make the crops resistant to glyphosate and glufosinate. The ability to use three very effective herbicide modes of action will be helpful in managing herbicide-resistant weeds. Three different transgenic events are included in this draft EIS. 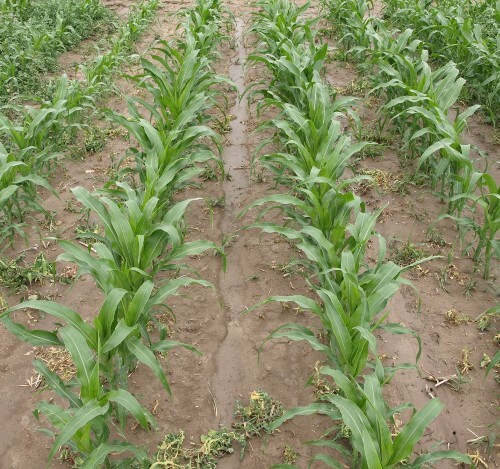 Corn (DAS-40278-9) resistant to 2,4-D and a class of herbicides used to control grasses (Aryloxyphenoxypropionates, often called the “fops” for short). Quizalofop-P (marketed as Assure II) is an example of a herbicie in this family. 2,4-D is used to control broadleaf weeds, and quizalofop is effective on many grassy weeds, so the combination of these traits will provide a potentially good combination for broad spectrum weed control. This is especially true, since Dow plans to stack the trait with glyphosate resistance. Soybean (DAS-68416-4) resistant to several synthetic auxins and glufosinate herbicide. The synthetic auxin herbicides including 2,4-D, MCPA, 2,4-DB (Butyrac), triclopyr (Garlon), and fluroxypyr (Starane). These herbicides are effective on a range of annual and perennial broadleaf weeds. Glufosinate is a broad-spectrum herbicide that is effective on many annual broadleaf and grass weeds. Before commercializing this trait, Dow plans to stack glyphosate resistance into varieties through breeding. Soybean (DAS-44406-6) resistant to the same herbicides as DAS-68416-4 plus resistance to glyphosate. Q. Is 2,4-D the same thing as “Agent Orange” defoliant? So unless public comments identify some negative aspects that are not already considered in the voluminous EIS document, it is likely that these traits will be deregulated in the relatively near future. Post updated January 4, 2014 to include additional information on the three separate events covered in the draft EIS. Next Article Does the debate about genetically modified food matter?